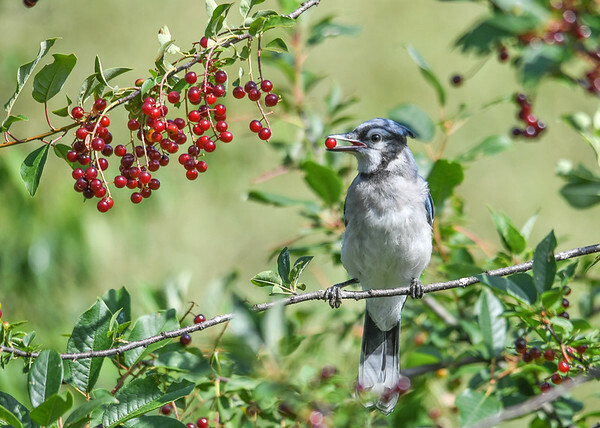 This Jay has picked the perfect perch to get cherries. Last year a Raccoon family ate all the cherries in one night, breaking off several limbs in the process. This year I made a 5 foot high tin baffle to foil them; it is working.